Currently, internet marketing is an important component of a successful business. Promotion of brands in the global network has become very popular. Most often users search for information about products of interest in social networks and blogs. From social networking, perhaps, Facebook has the great marketing potential. Many watch brands have created their own brand pages on Facebook: Vacheron Constantin, Jaeger-LeCoultre, Hublot, Breguet, Longines, Piaget, Baume & Mercier, Franck Muller, Girard-Perregaux, Ice-Watch, etc. Ice-Watch – a young watch company, which in a short time has become very popular among connoisseurs of horology, entered the top of 500 international companies and top five jewelry and watch brands in the world. To promote the brand and keep in touch with its customers Ice-Watch has opened a page on the social network Facebook. Today, the number of "friends" on Facebook brand has reached 1 million. For the watch industry is a record achievement! On this occasion, the company plans to launch a special series of Ice-Game. Among the "friends" of the brand will be drawn 100 items from the Ice-World and Ice-Flash collections. On Ice-Watch page Facebook users can find detailed information on the latest products, cultural events, new stores, and other 'friends' names may also add photos, videos and messages to their own blogs to maintain a constant communication between Facebook-fans. Soon, Ice-Watch is planning to publish an album, which will include the 50 best shots, placed "friends" of the brand on its page on Facebook. 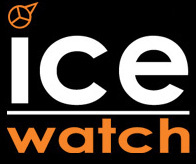 Official website of Ice-Watch ® watches. Swatch and Ice-Watch: decision of phonetic question! CEO of the watch company Ice-Watch Jean Pierre Lutgen confirmed that an agreement between the company Swatch and Ice-Watch was signed in Bern (Switzerland). 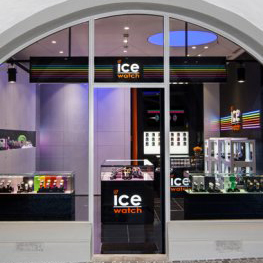 Last year, the watch company Ice-Watch has opened its first boutique in Geneva. In early October of this year, the brand opened a second store in Zurich. Design of the new, presented by the watch company Ice-Watch, Ice-Vintage models demonstrate the individual aesthetic vision of the watches in past. Denim - the trend of the year. At first, the brand Hublot has introduced a new "denim" line, and now the brand Ice-Watch has announced a new Ice-Denim collection. The novelties are the result of two years work of the masters. The watch company Ice-Watch in the new 2013 debuts in the popular racing series DTM as a premium partner of BMW Motorsport. In the season of 2013, the driver Marco Wittmann from the BMW Team MTEK will conquer the track in the car Ice-Watch BMW M3 DTM with starting number 21 and striking design of the Ice-Watch on the hood, roof and car body. The famous watch brand Ice-Watch has pleased its fans with a launch of a new line. New in 2013 was marked by two novelties by the company Ice-Watch: the first line of Swiss Made models, which was followed by the watches, named Ice. The watch company Ice-Watch has surprised its fans with the launch of a novelty - Ice-Phone – with a tube and stand for smartphones with a matte rubber finish in several color versions - black, white, blue, green, yellow, orange, red, pink, purple, silver. Inspired by the success of Classic Clear Collection, the watchmakers of Belgian company Ice-Watch have created a new Ice-Pure collection, the design of which is associated with the fascinating world of ice. Informational watch portal Montre24.com provides a unique opportunity to lovers of watch art who are looking forward the latest developments in the watch industry; learn about the novelties of the legendary Belgium manufactory Ice-Watch ®, presented at the GTE.